After years of flirtation with high-performance concepts and prototypes, Volvo has finally answered the calls of marque enthusiasts and launched its first race-born production model. The V60 Polestar is the result of a five year development project between Volvo and its official racing partner, Polestar. The Swedish racing team is well versed in the art of transforming road cars into racing machines and has been building Volvo-based touring cars since 1996. However, until now, Polestar Volvos have only been available as extreme concepts or dealer-fit tuning packages, but it's hoped that the 350PS V60 will mark a new era of high-performance Volvos. 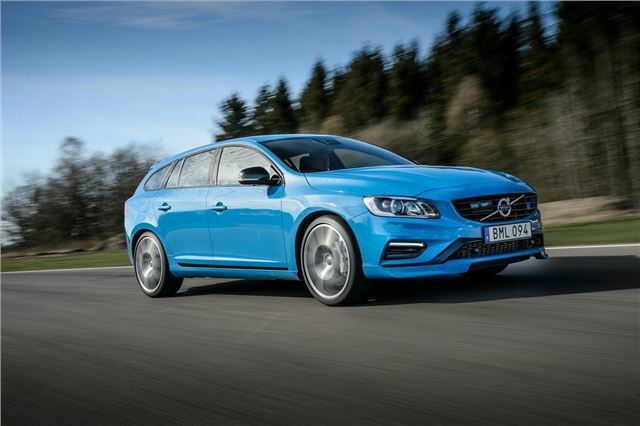 So, what's the V60 Polestar like? Well, for all of its pomp and circumstance, it is a rather pedestrian looking car. In fact, you'd be forgiven for thinking it is just a standard Volvo from the exterior. Admittedly, there are a few aerodynamic tweaks here and there, with a new front splitter, roof spoiler and rear diffuser, but there's nothing outstanding to distinguish it as a bespoke sports car. Things don’t change much inside either. 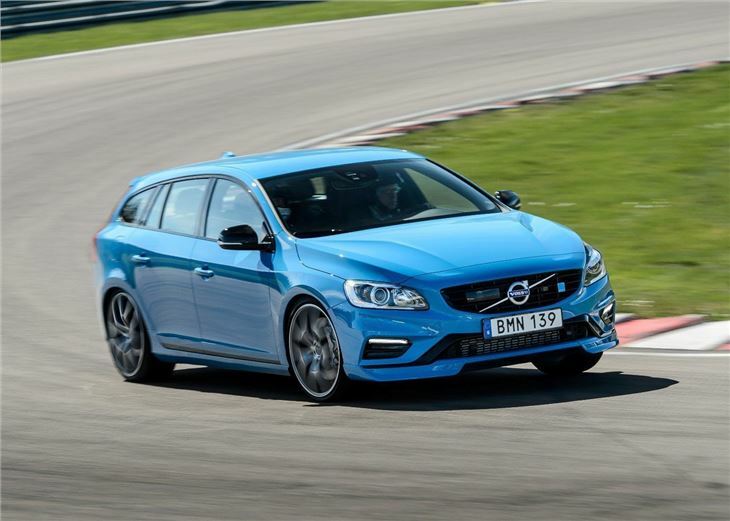 The Polestar model is based on the V60 R-Design trim and is comfortable enough, with sports seats, leather finish and aluminium pedals, but there’s nothing on offer to suggest this V60 is all that different from the rest of the pack. 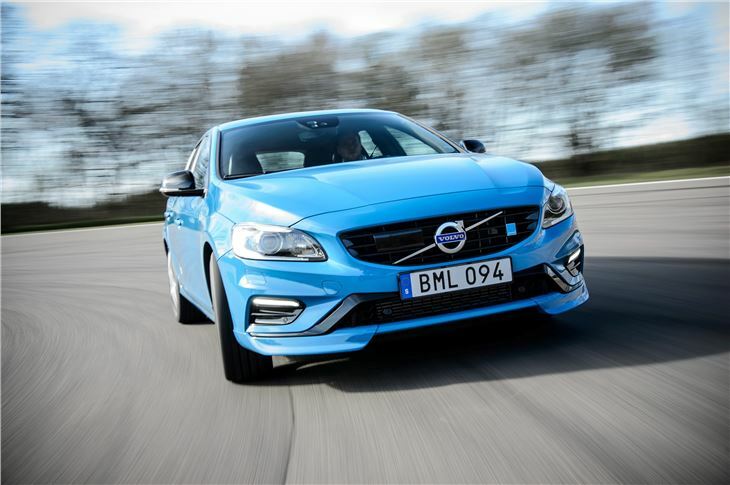 However, despite its lack of flamboyance, the V60 Polestar is a hugely capable car. 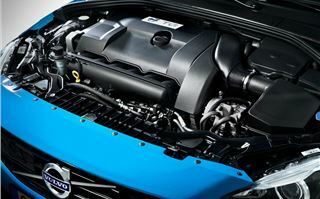 Look under the bonnet and you'll discover Volvo’s outgoing T6 engine has been retained and beefed up with a new Borg Warner twin-scroll turbo and intercooler to produce 350PS and 500Nm of torque. 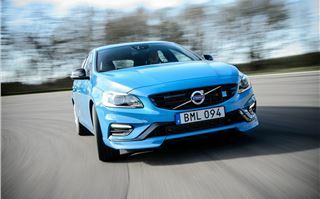 The V60’s four-wheel drive system and six-speed automatic ‘box have also been revised to cope with the increase in power while Polestar has added a 2.5-inch exhaust system, with a variable valve to make the car considerably louder. 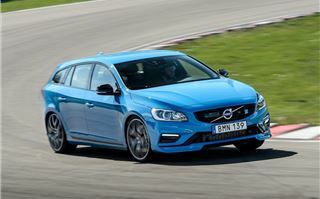 The racing firm has also worked hard on the V60 handling, with the chief stumbling block being the car’s portly 1834kg kerbweight. To combat this, the chassis has been stiffened by 80 per cent and bolstered with 20-inch wheels, uprated shocks and springs. The brake system has also been improved with 371mm front discs and six-piston Brembo calipers. 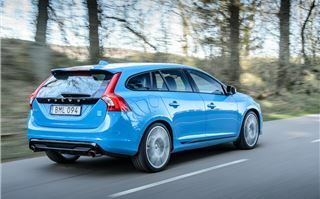 The improvements to the V60's running gear are apparent as soon as you hit the starter button, with the engine barking into life and the exhaust emitting a deep, satisfying burble. The V60 Polestar can be driven in two modes – standard or sport – with the former offering a good compromise between comfort and performance. Admittedly, the ride is on the hard side, but that's to be expected from a race-tuned car. Flick the box into sport mode and the V60 transforms into a raucous race car with the exhaust opening up to emit a thunderous roar every time you touch the throttle. The T6 engine has always been a strong unit, but Polestar has transformed it into a brute with smile inducing acceleration from 3000rpm right up to the limiter. The six-speed automatic gearbox is also much better, with superb mapping and predictable gear changes. Press the V60 hard and it will rocket from 0-62mph in 4.9 seconds, before eventually reaching an electronically limited top speed of 155mph. Obviously, a lot of work has gone into the V60's handling and the Polestar model is near perfect in its balance, which makes it great fun on tight and twisty B roads. During our road test we took the V60 to a private airfield in the wet to test its limits and we were also extremely impressed with its high speed corning ability. 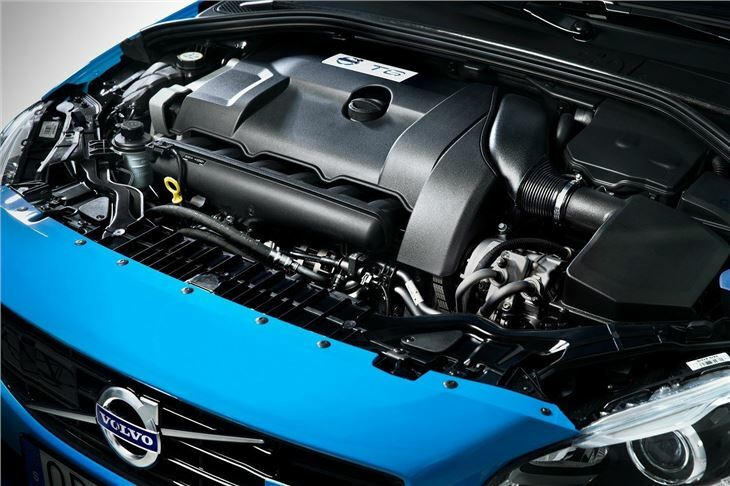 Clearly, this car is geared up for high performance and Polestar has done a brilliant job in transforming the V60 into a fire breathing race car. We must also praise the uprated four-wheel drive system, which holds the road with a vice like grip and inspires the driver to push the car as hard as they dare. However, despite all of Polestar's engineering brilliance, we do have some issues with the V60 and none of them relate to the build of the car. For a start, the V60 Polestar will be limited to just 750 cars globally, with just 120 or so coming to the UK. 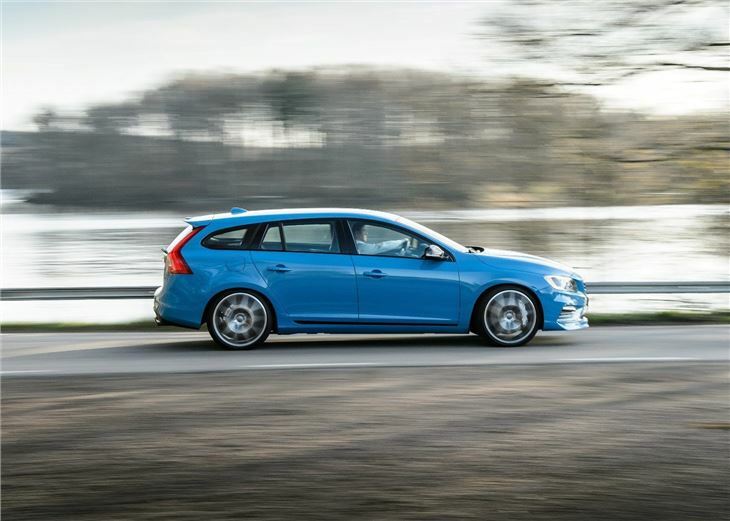 But, if you're lucky enough to source the V60 Polestar then you'll have to pay dearly, with prices starting at an eye watering £49,775. 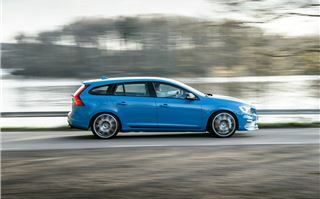 A near £50,000 price tag makes the V60 Polestar almost impossible to justify. Indeed, it is almost £20,000 more than a Volkswagen Golf R and £7000 more than a similar Audi A4 Avant. We don't think the hike in performance justifies the extra expense. For sure, the V60 Polestar is a brilliant car to drive and its throaty exhaust note enlivens the senses, but the same can be said for Volvo's rivals and none of them cost £50,000 to buy. 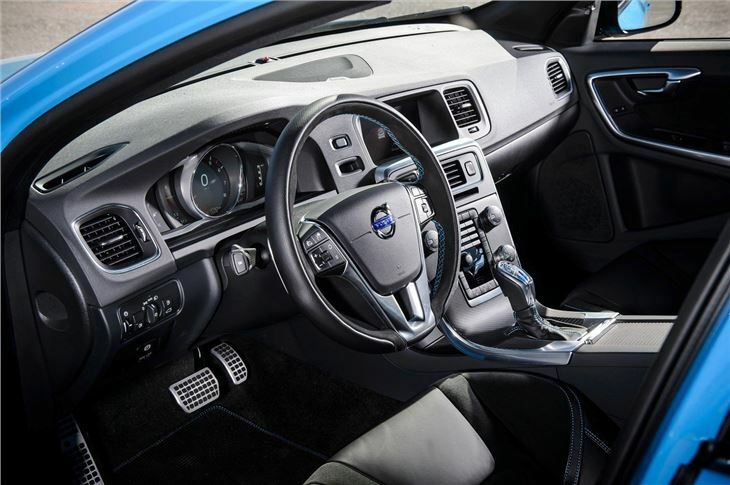 Obviously, some marque enthusiast will snap up the V60 Polestar and love every minute of joy it brings. But for the majority, this car will be little more than an expensive oddity.